Bring your baskets and come ready for an Eggstravaganza! 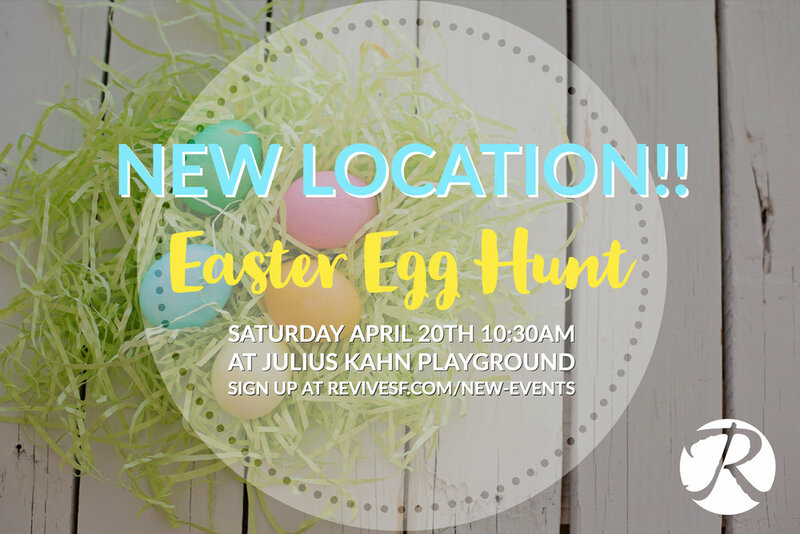 Candy, eggs, facepainting, balloons and more! We would like to invite you to join us for this fun event at Julius Kahn Playground, West Pacific Ave. & Spruce St. , San Francisco 1030am. For those serving come to Revive SF at 9:00am for breakfast and instructions. This event is free! Help us out by letting us know you are coming with the link below. Hope to see you there!